The Girl Online series, by Zoe Sugg, is definitely a guilty pleasure book for me, but I just love them so. I find myself asking what adventures/trouble will Penny encounter, will her and Noah Flynn ever get back together, what’s she doing with her photography and blog, will. It’s just a fun book to get lost in with an easy and entertaining storyline to follow. Plus, after I read the first Girl Online book I discovered that the author of the book the book has a YouTube channel, Zoella, and I absolutely love her and her vlog! In Zoe Sugg’s most recent addition to the series, Girl Online Going Solo, Penny and Noah have decided to take some time apart after Penny spent the summer with him on tour and things did not go according to plan at to say the least. Penny’s life is back to normal as she starts the school year and ready to face the world solo. Noah has gone MIA after deciding to end his world tour early, and no one, including Penny or his family knows where he is. When Penny goes to visit Megan’s new art school it’s the perfect chance to discover new places and meet new friends. While taking a few moments for herself Penny meets, a future new friend, Posey and also meets a new possible love interest. Once she gets back from her visit with Megan Penny realizes how much Elliot needs her friendship, as does Posey. Girl Online Going Solo, is the perfect book to read after you have just finished something heavy. 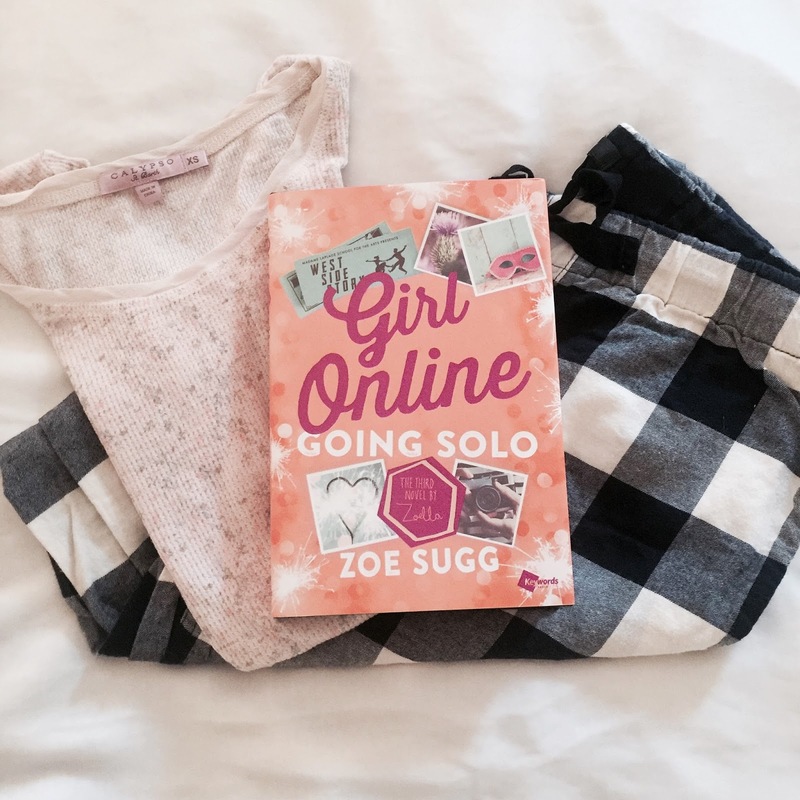 Between it’s light witty writing and fun characters the Girl Online series, by Zoe Sugg is a delight to read. I love Zoe and her Youtube channel, but I've been hesitant to read her books! I guess I wondered if they were too young for me. I've heard good things though, so maybe I'll download the first one! I mean honestly, the books are probably more appropriate for someone who is in middle school or high school, but even at an older age its still just a fun mindless read.